Laksa is a famous Peranakan spicy noodle dish popular in Malaysia, Singapore and Indonesia. If you fancy spicy flavours in your noodle soup, you can now cook it instantly at home. 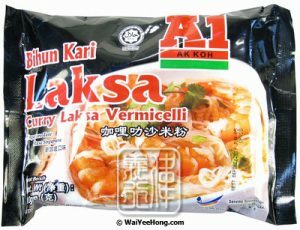 Try these A1 Instant Curry Laksa noodles, which come with either wheat noodles, or rice vermicelli. Make your bowl of noodles into a feast by adding vegetables and seafood or fishcake and tofu. 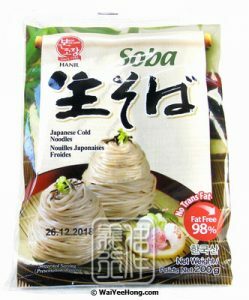 We love the look of these delicious soba noodles. Typically served cold, these make a refreshing meal on a hot summer day. Simply cook the noodles and then rinse well with plenty of icy water and drain. Dip the noodles in the mentsuyu (dipping sauce) to enjoy mouthfuls of cool, tasty buckwheat noodles. We love the look of the other noodles in this range too. 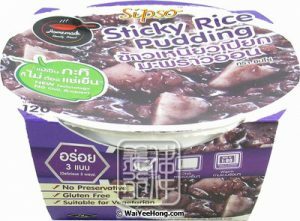 This sticky black rice pudding from Thailand simply mixes coconut with sugar and sticky rice to create a handy dessert. It is ready to eat out of the pot, but we recommend serving it chilled or warmed in the microwave. Check out the tapioca pudding too. 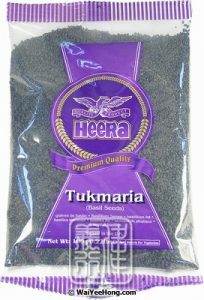 Sweet basil seeds are also known as Tukmaria or Sabja seeds, and are often touted as a ‘superfood’. They are believed to be very good for the body, such as having anti-inflammatory effects, being a good source of antioxidants, helping to control blood sugar levels as well as promote good brain health. These seeds are most commonly used as a diet aid or appetite suppressant. When added to water, the seeds create a gel around themselves which some believe, when consumed, can help with appetite control. This is just one of the dozens of new Heera brand products that we have recently started to stock. 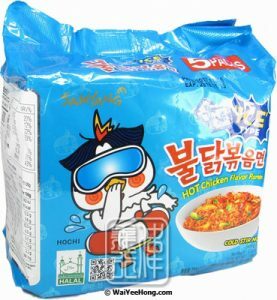 Spicy chicken noodles have become all the rage lately, and the latest product is this “Ice Type” spicy noodle. We’re intrigued to know what makes this spicy noodle icy as well as spicy. If you try it, let us know how you get on – that is, if your tongue hasn’t been burnt off by the spiciness. 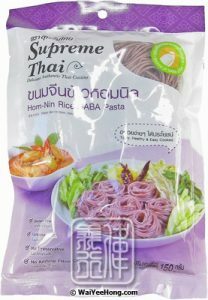 These Thai rice pasta noodles look lovely, with their pinky-purple hue. The noodles do not contain any artificial colourings, but rather the black rice used to make them, give them their glorious colour. Who knows; maybe unicorn noodles will become a new food trend? There are also white rice and brown rice noodles in this range. Our online product catalogue now has over 4,000 lines, and we’re still updating product listings and adding new things all the time. We work hard to ensure our customers get the widest choice of Chinese and Oriental food items available online in the UK and the most up-to-date information we can provide!